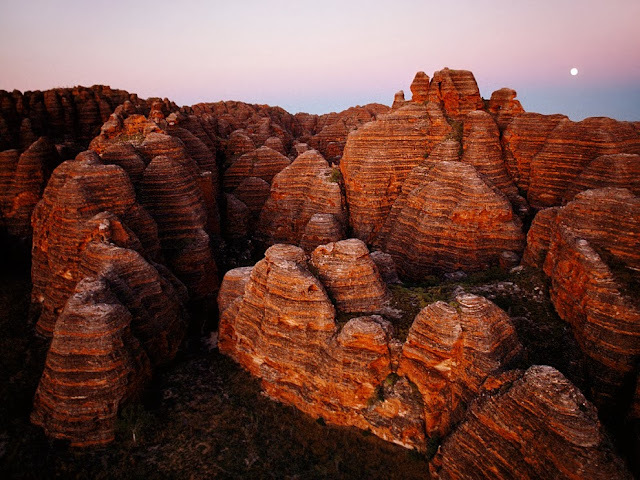 The Bungle Bungle Range is a spectacularly incised landscape of orange an grey dome shaped sandstones rising 250 metres above the grass land. 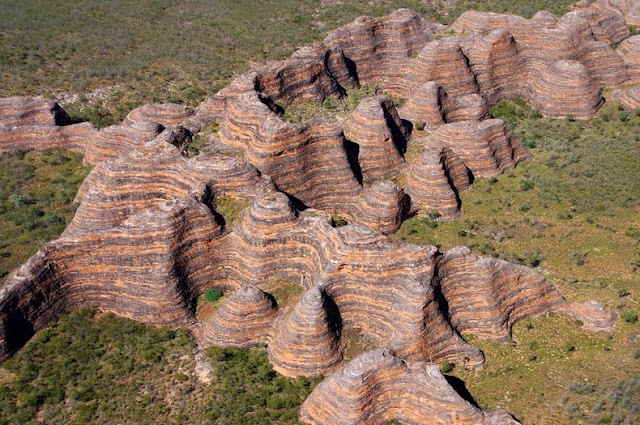 The Bungle Bungle Range is one of the most fascinating preserved geological landmarks, located in Purnululu National Park in the Kimberley region of Western Australia. The Bungle Bungles were not really discovered as a travel destination until the mid 1800s. 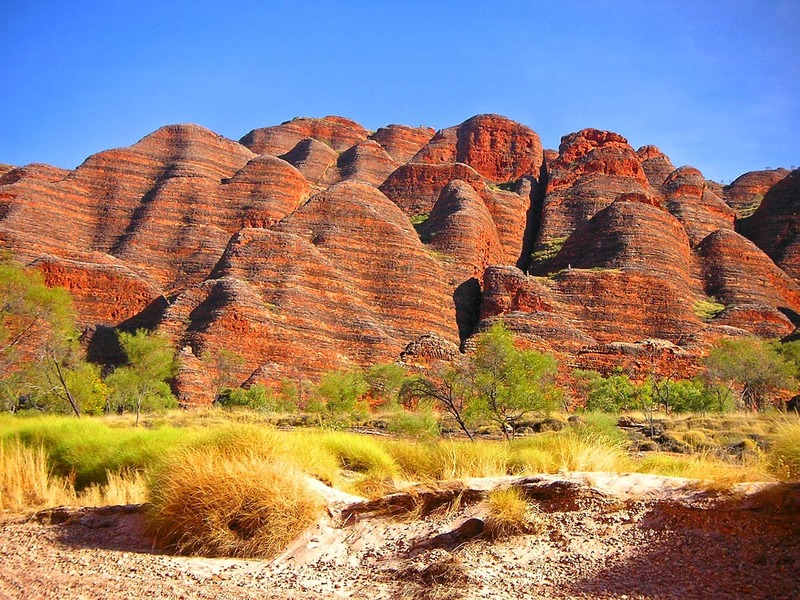 A series of beehive-shaped towers or cones were formed by the combined effect of wind and rainfall on Devonian-age quartz sandstone over a period of 20 million years. 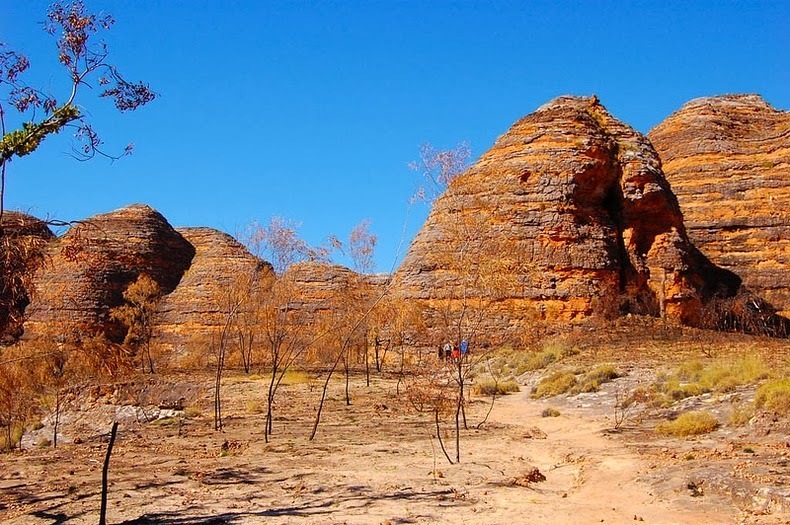 Unique depositional processes and weathering gave spectacular black and orange banded appearance to these dome shaped towers. The dark layers in the sandstone were formed by biological processes of cyanobacteria, previously called blue-grey algae, that serve to stabilise and protect the ancient sandstone formations. These dark layers have a higher clay content so that hold moisture better. The lighter coloured layers have less clay, are more porous and dry out quickly. Cyanobacteria can't grow here and without the protective coat the surface is exposed to "rusting".